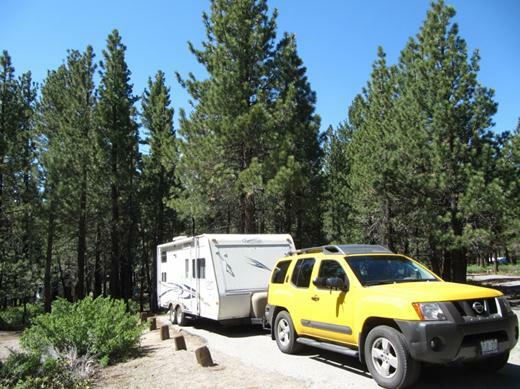 We rolled into Mammoth Lakes late on June 26th and set up camp at the “New” Shady Acres Campground. At $20 per night the park had no showers, no electricity and no water. There was a common water spigot and flushing toilets so that’s a good thing! 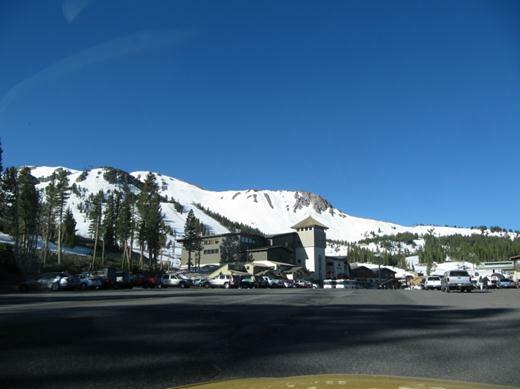 Mostly we were dumbfounded that Mammoth Mountain still had ski runs open. 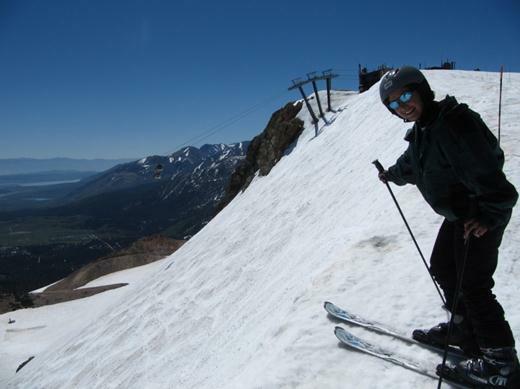 Can we really ski at Mammoth in June? Yes we can! 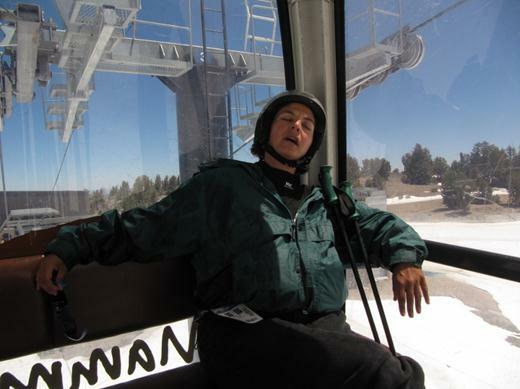 Mammoth had 2 lifts and the gondola open. 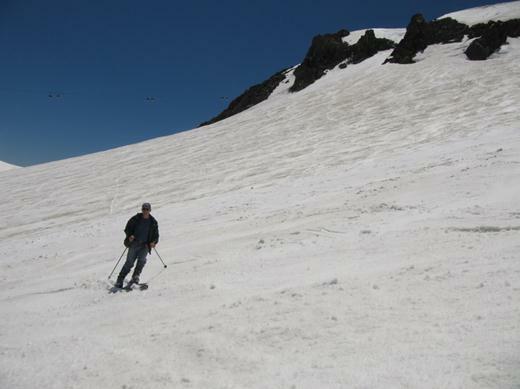 They were having a big ski bash through to July 4th. What a view from the top! 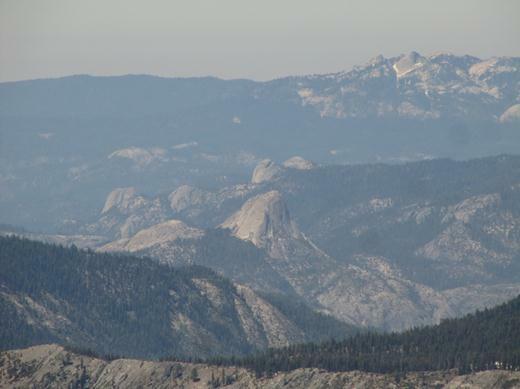 Several people thought the view included Half Dome in Yosemite. 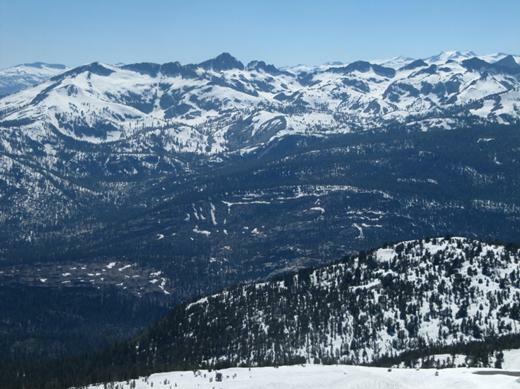 It’s not – that’s Balloon Dome in the distance and it’s not in Yosemite. 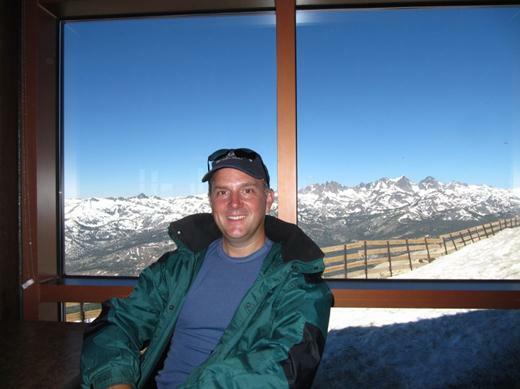 Even inside the chalet at the top, amazing views! 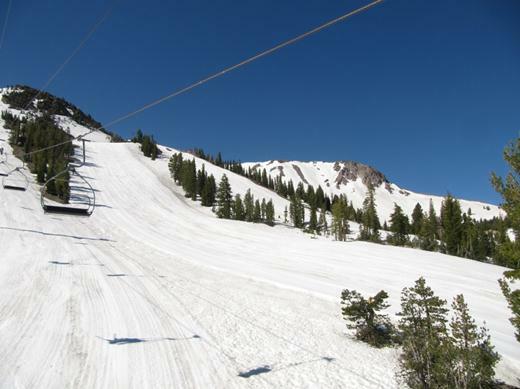 Mammoth kept the runs open until 2 pm. After that, the snow was so damp it was a lot like skiing in wet cement. 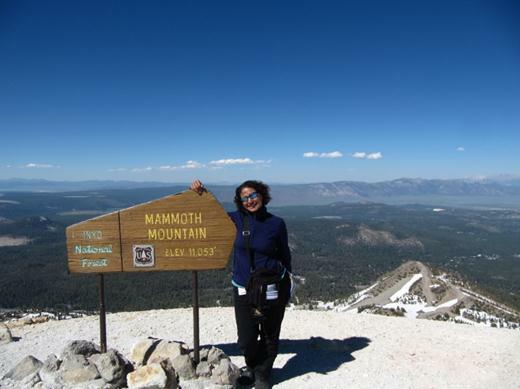 Maybe that’s why Marianna is so bagged…or, was it all that hiking in Yosemite? 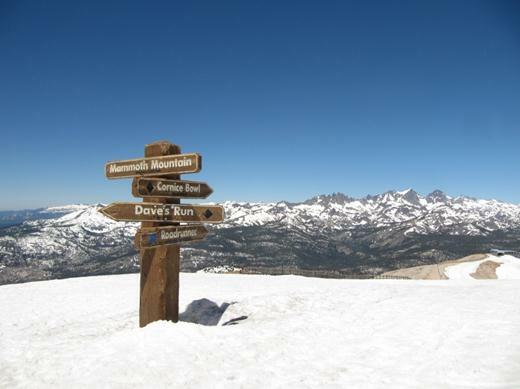 After the runs closed, we had to hike up to the summit of Mammoth Mountain – 11,053 feet elevation! Very windy but amazing views! Later that day we toured the area. 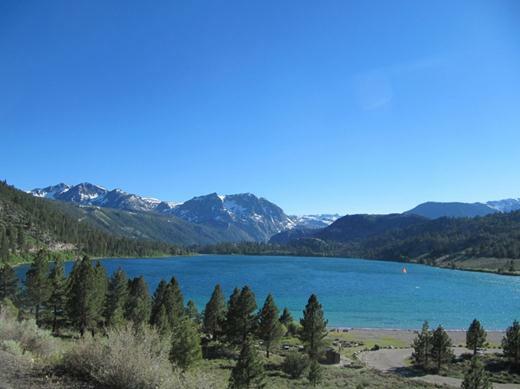 Nearby June Lake was absolutely gorgeous. 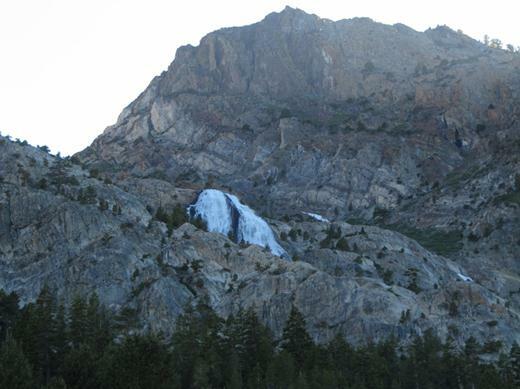 We spotted a waterfall or two in the area as well. 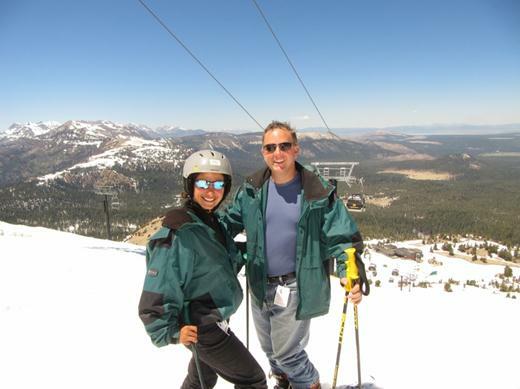 Having such a good time at Mammoth made it all the harder to leave, but we did. Next up…Los Angeles, California!